The first edition of ELISAVA Alumni Labs, a process-driven collaboration with agile research, collective ideation and an experimental approach at the core. A creative studio formed by architects and product designers that create alternative brand communication combining industrial design and a maker-mindset. An interior designer who likes to experiment with minimal form, function and aesthetics, influenced by her keen intrigue in art and antiquity. A design consultant, illustrator and associate professor in Creative Methodologies and Design Research at the school who led the project. They created a memorable stage experience for IAM Weekend 17, inspired by the randomness of IAM and our annual research theme: The Renaissance of Utopias, going beyond the stage of Mercat de les Flors, the dance house of Barcelona, and that is now being watched by thousands through our video series: IAM Talks. 👉 How conscious are we of the impact of internet in our realities? 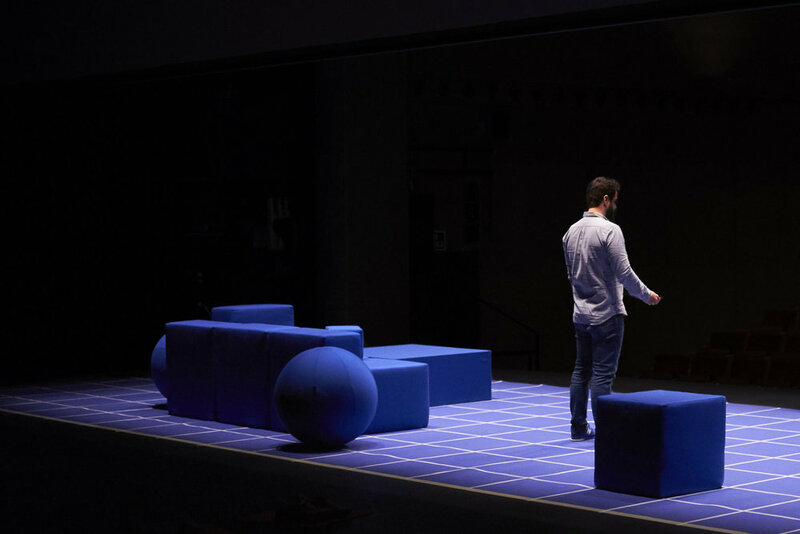 👉 How can we play with space, time and form to create a memorable experience that reflects the ever-changing and unpredictable nature of our internet behaviors? 👉What if this randomness could be translated into an experimental utopia, a hyperconnected, timeless no-space that helps us remember the futures? ELISAVA is one of the most important schools of Europe, a pioneer in studies of Design and Engineering. The Centre, affiliated to the Universitat Pompeu Fabra, is home to around 2,200 students and more than 800 teachers.